If ever there was a movie that summed up the phrase ‘night and day’ this is it. “Skyfall” is the third James Bond movie to star Daniel Craig. The first in this trio, “Casino Royale” was brilliant. The second, “Quantam of Solice” was a huge let down. This movie would either save the current Bond franchise. Or send it to near certain death. 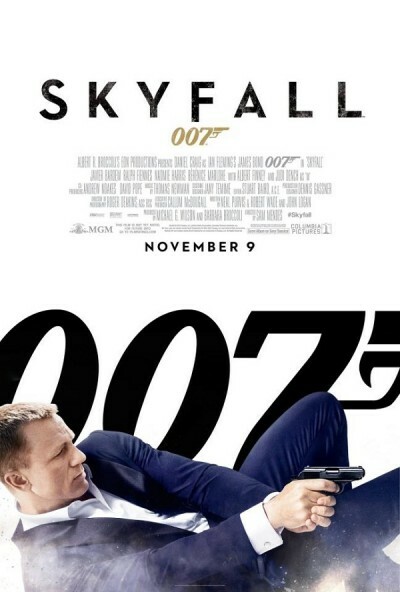 “Skyfall,” similar to the first two Craig installments was a clean 50/50 split. The first half moved very slowly, spending far too much time on meaningless plot points. It wasn’t until the one-hour mark that the plot really picked up. From there, it was a roller coaster ride of fast paced action sequences, heart felt conversations and amazing cinematography. The movie truly is spectacular looking. Wide angle shots of the English countryside mix with awesome close ups of a set that didn’t miss a detail. Before I saw this movie, I heard a lot of people mention that the movie was very “un-Bond” like. I’m going to go ahead and disagree. While it definitely had a different, more modern feel, it was a Bond movie at heart. It was elegant from start to finish and Craig does an excellent job of embodying 007. Finally, I couldn’t get over a really weird anecdote to “Skyfall.” As unique as the movie was, I couldn’t help notice a few eery similarities between it and the current Batman Trilogy. The plot followed a very similar line to “The Dark Knight” and the cinematography had a lot in common with “The Dark Knight Rises.” After a little bit of research, it turns out that the movies do share at least one Art Director in common. Neal Callow worked on both movies as well as “Casino Royale” so we’ll assume any similarities were caused by this. In summation, go see this movie! It’s worth sitting through the first half because the second half rivals any Bond movie of the past two decades. Go see it and let us know what you think! I agree with the fact it was “un-Bond” like. Every Bond movie has traditions of phrases, gadgets, and certain relationships between characters. At first I did not like it, but after thinking it through. It was decent but not one of my favorites. I love the connection he had with M that we never saw before. Acting was great. The villain was weak. While you compared him to the Joker in being a psychopathic genius I agree to a point. But when I saw and heard the Joker I had a fear of him as compared to just saying this villain is pathetic. And rivaling any Bond movie of the past two decades is an easy feat. Only Goldeneye has any sort of credibility and maybe Casino Royale. But in the end, it was a decent Bond movie that was very ‘un-Bond’ like. And ‘hipster’ Q just almost put me over the edge. How ironic the new Hipster Q doesn’t give Bond any gadgets of the 21st century.